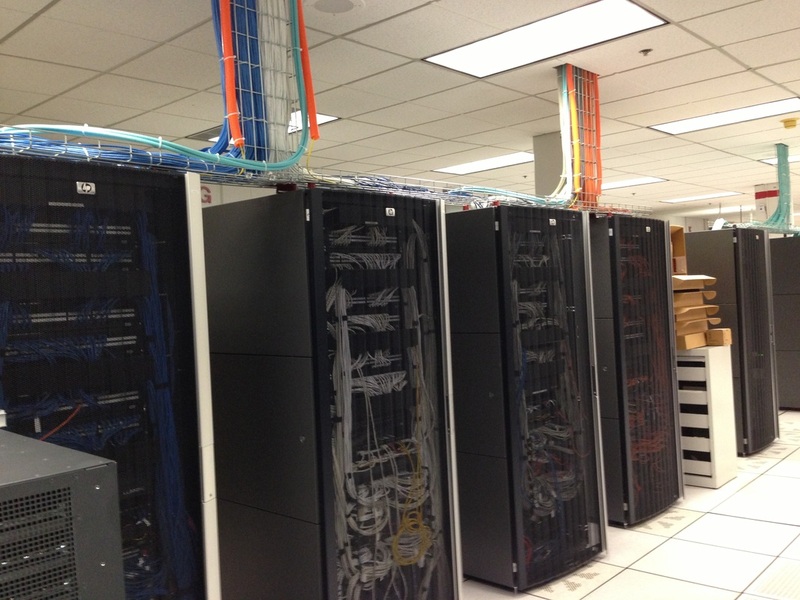 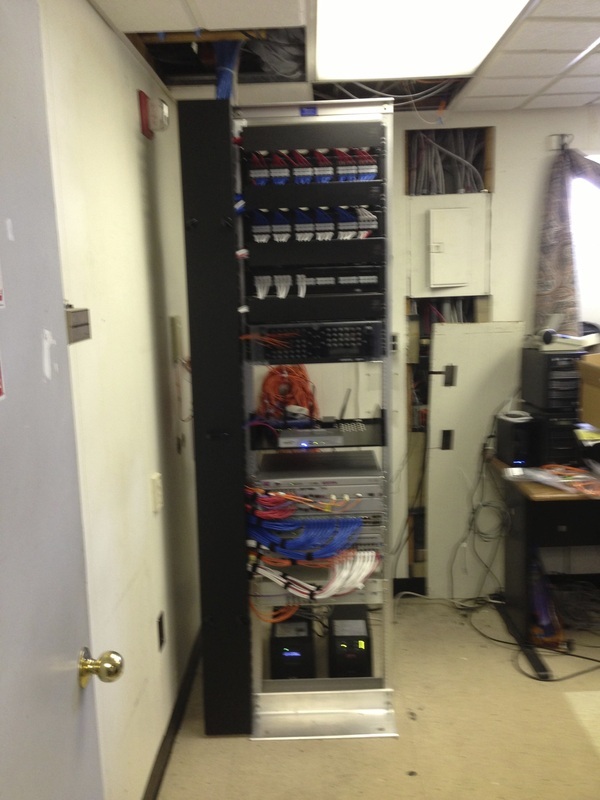 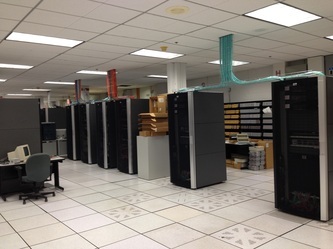 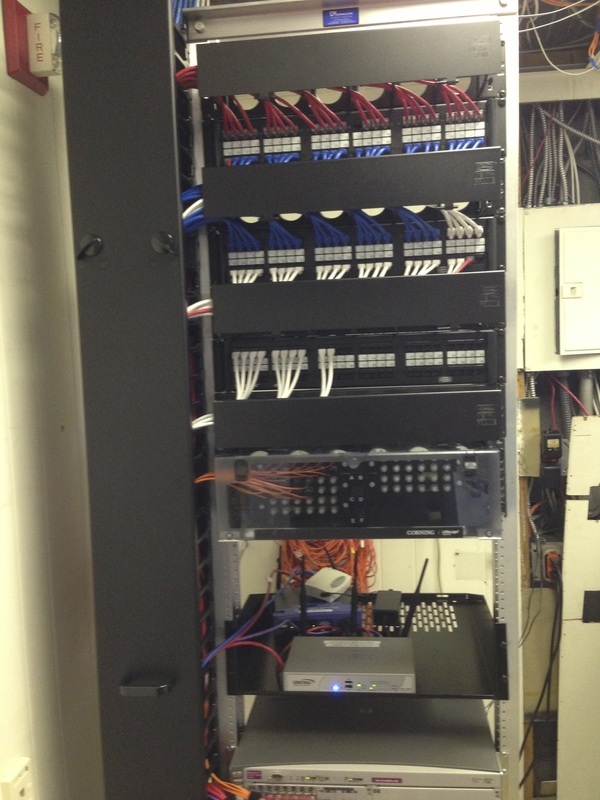 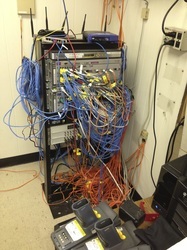 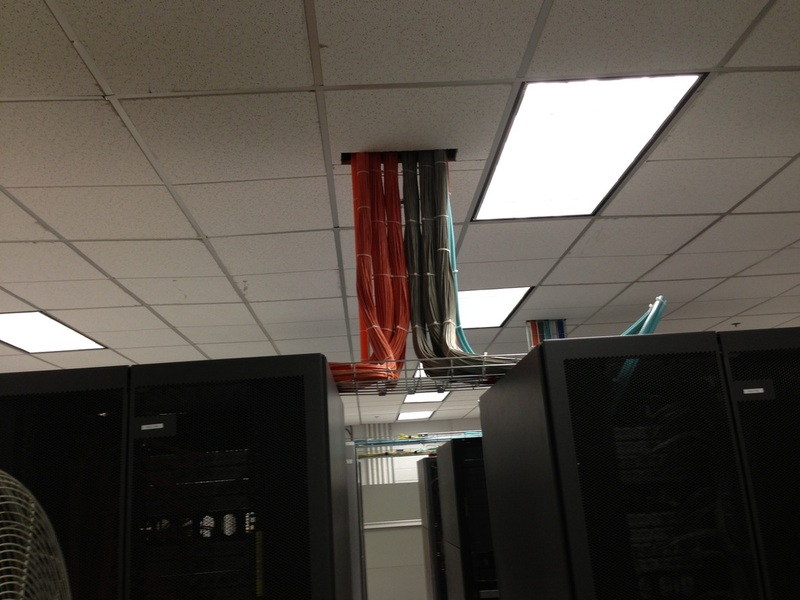 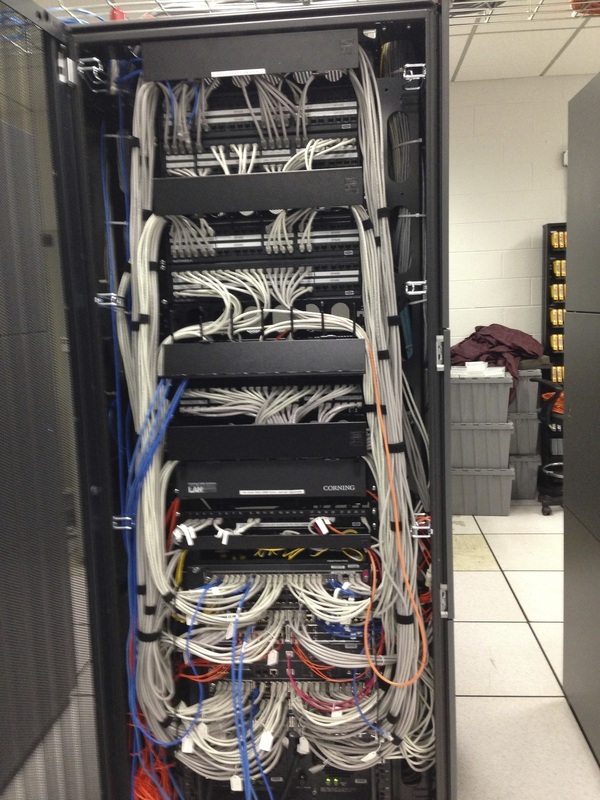 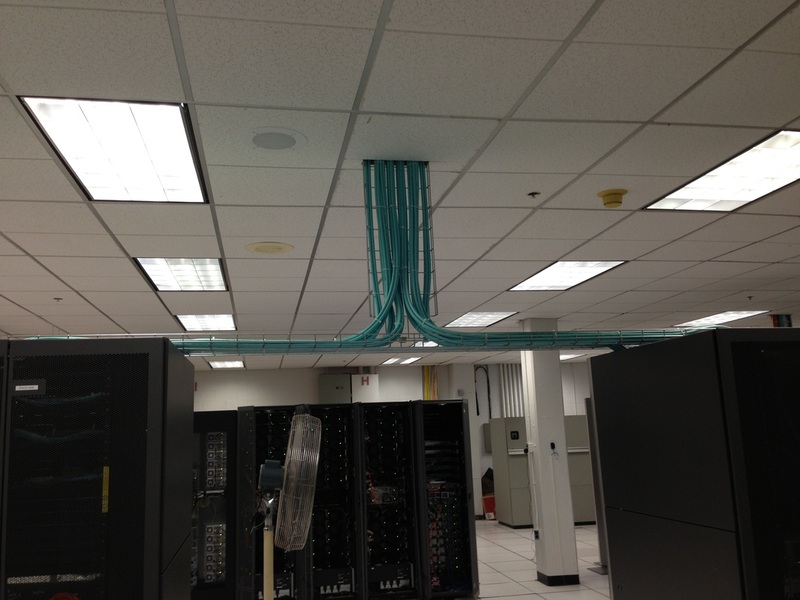 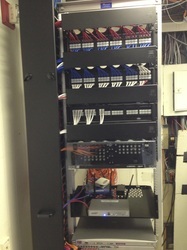 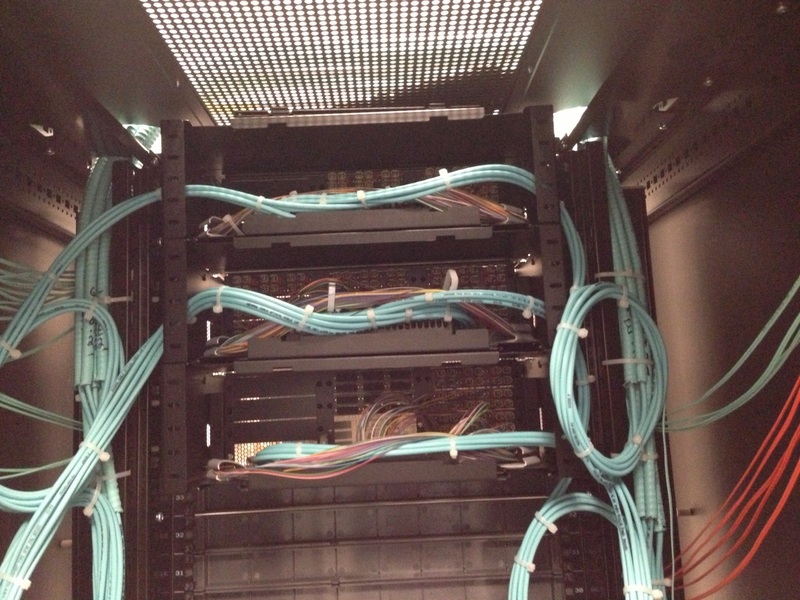 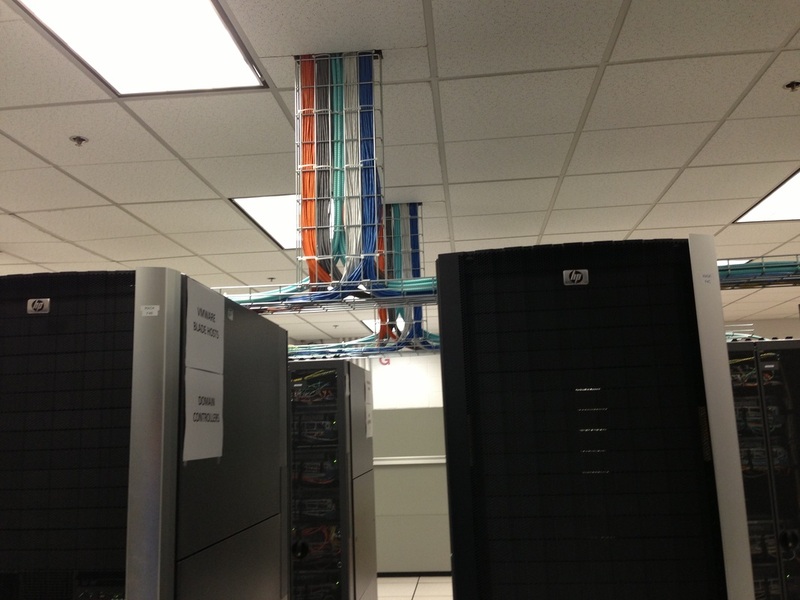 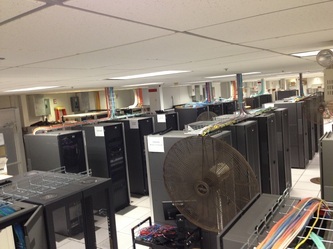 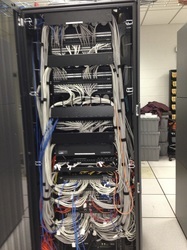 These are shots of a server room where we installed over head cable tray (most is above the drop ceiling) and connected the equipment racks via 50/125 OM3 multi-mode fiber and Cat-6. 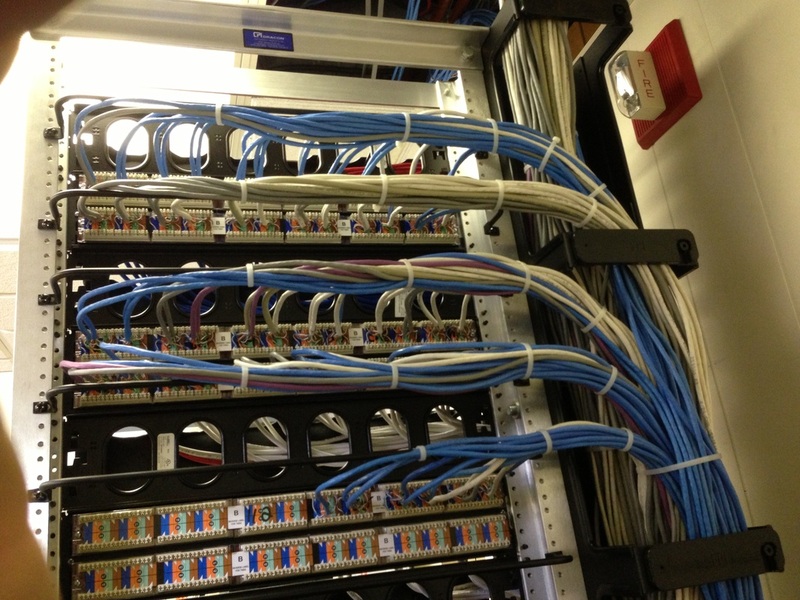 These are before and after shots on a small switch cleanup. 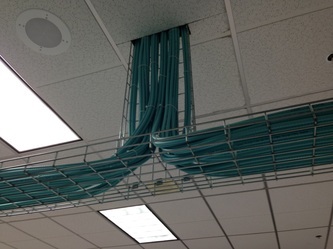 All of the existing station cabling was being fed directly onto the switch. 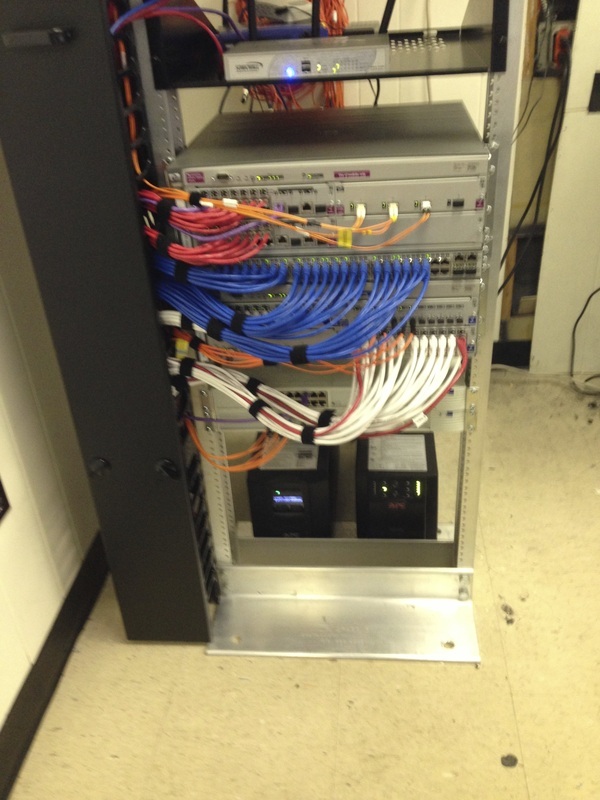 We terminated the existing station cables onto a patch field and installed patch cords. Ah, much better!